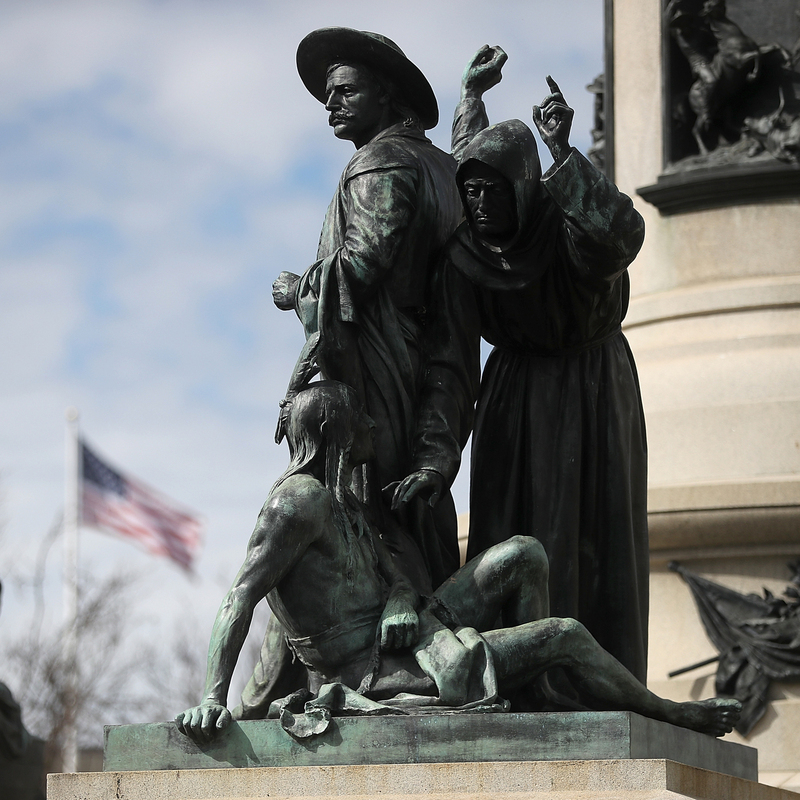 San Francisco Removes Statue Of Native Man At Feet Of Colonizers The statue, called Early Days, showed a Native American gazing up at a vaquero, or Spanish cowboy, and a proselytizing priest. Native groups have long called for the sculpture's removal. 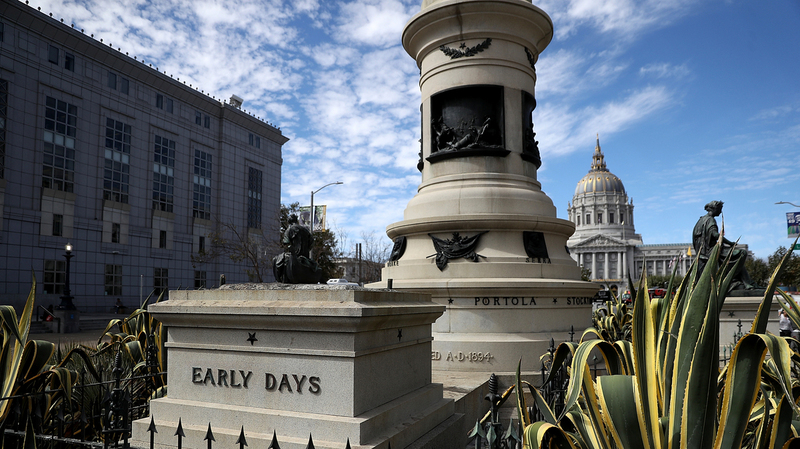 An empty pedestal remains where a statue known as Early Days, which depicted a Native American at the feet of a Catholic missionary and Spanish cowboy, used to stand on Fulton Street in San Francisco. The statue was removed early Friday morning. The Pioneer Monument was dedicated in 1894. "Early Days," pictured on March 12, was one of several statues featured in the monument.